Just recently I found out about “the top 100 wonders of the world” – ranked by Howard Hillman. It is interesting website as you can find some many places you have never been yet. I decided to check my photo albums and to publish pictures of top places I already visited. 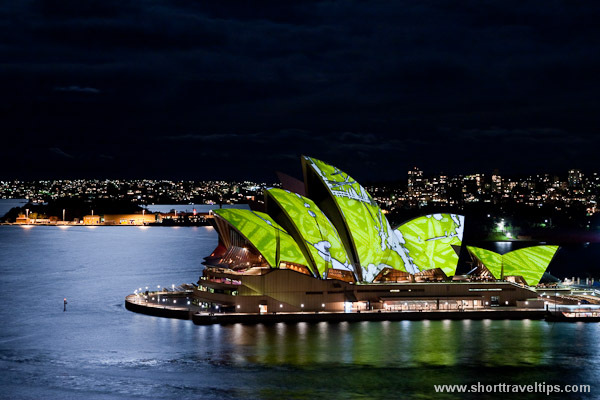 This photo was taken during Sydney Vivid festival when sales of Opera House a lighted in different colorful projections. It is one of must see event in Australia. Lovely to see the Opera House lit up like this. Stunning shot. one of the sights i wish to see in Australia..nice one!